The upgrade for this product is the Avocent SVIP1020-001. Remotely control your computer or KVM switch with the Avocent SwitchView IP (SVIP1010-AM). 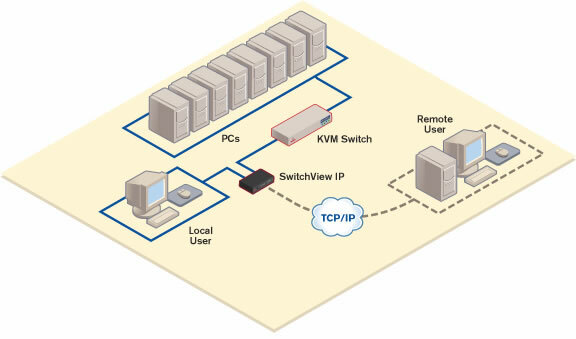 Avocent's SwitchView IP (SVIP1010-AM) adds economical remote access capability to existing KVM switches. With secure, browser-based access, you can have BIOS-level, console access to multiple servers anywhere, anytime.